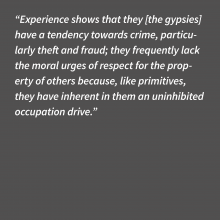 In its precedent-setting ruling of 7 January 1956, the Federal Court of Justice denied any ‘racial’ persecution of ‘gypsies’ prior to Himmler’s Auschwitz Decree of 16 December 1942. In their statement of the reasons for the ruling, the judges used racist stereotypes that were almost on a par with those found in Nazi propaganda. 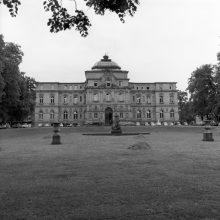 The judgement not only affected the compensation practice for Sinti and Roma survivors and excluded many from restitution payments, it also underpinned the justification strategies of the erstwhile perpetrators from the ranks of the SS and police apparatus. The ruling was only revised seven years later. 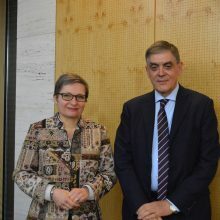 On the occasion of her visit to the Central Council of German Sinti and Roma in Heidelberg on 12 March 2015, President of the Federal Court of Justice Bettina Limperg stated that the legal ruling made in 1956 was an ‘unacceptable judgement’, one ‘we can only be ashamed about’.